Truck accidents often cause serious injury and death. The truck driver and trucking company may be liable for paying significant damages to accident survivors. If you’re involved in a truck accident in Arizona, you’ll face questions that don’t generally come up after a simple traffic accident. For example, is the truck driver liable for the accident or the truck driver’s employer? If you’re the truck driver, can you receive workers’ compensation benefits? Understanding the common causes of truck crashes, the relationship of the people and entities connected with the truck, and the potential damages available to you can help clarify some of the questions that often arise after a truck accident. What vehicles qualify as “trucks”? In Arizona, a “truck” is defined as any motor vehicle used primarily for carrying property other than the personal property of the driver or passengers. According to the Federal Motor Carrier Safety Administration (FMCSA), the number of people injured (not including fatalities) in truck crashes every year across the nation has almost doubled since 2009, from 74,000 people to 145,000 people. The chart below summarizes crash data by injury severity in 2016 (the last year for which the data is available). The number of people killed in truck accidents has also gone up significantly since 2009, from 3,380 people in 2009 to 4,317 people in 2016. In Arizona, 69 people were killed in truck accidents in 2016. These statistics don’t include the number of truck accidents that resulted only in property damage, such as the rollover accident earlier this year that resulted in 40,000 pounds of liquid chocolate spilling onto Interstate 40 in Flagstaff. Non-performance (12%): The driver fell asleep, was disabled by a heart attack or seizure, or was physically impaired for another reason. Recognition (28%): The driver was inattentive, was distracted by something inside or outside the vehicle, or failed to observe the situation adequately for some other reason. Decision (38%): The driver was driving too fast for conditions, misjudged the speed of other vehicles, or followed other vehicles too closely. Performance (9%): The driver panicked, overcompensated, or exercised poor directional control. Vehicle (10%): Vehicle failures, such as brake problems. Environment (3%): Fog, heavy rain, bad weather or roadway problems. Trucks can legally weigh up to 80,000 pounds (40 tons). To put this in perspective, the average car weighs about 4,000 pounds. Arizona awards both economic damages and non-economic damages in truck accident cases. Economic damages refer to monetary losses resulting from an accident. Non-economic damages refer to losses that don’t have a clear dollar value. In addition, Arizona awards punitive damages in rare cases. Punitive damages are meant to punish the defendant and are awarded when a defendant’s behavior was willful or particularly egregious. For example, punitive damages may be awarded if the truck driver that caused the accident was driving while intoxicated. While some states enforce damage caps, Arizona doesn’t cap personal injury damages in most cases. However, there’s an important exception to this rule that may apply to your truck accident. For example, if you’re rear-ended by a dump truck that is owned and operated by the Phoenix Public Works Department, punitive damages wouldn’t be available (though economic and non-economic damages would still be available). In addition to having the option of filing a personal injury lawsuit, truck drivers who are injured in an accident during the course of their employment have the option of filing a workers’ compensation claim. In Arizona, workers’ compensation is a “no-fault” insurance system. This means that valid claims are paid regardless of who’s to blame for the accident. In other words, even if the truck driver is at fault for the accident, the truck driver can still receive workers’ compensation benefits so long as the accident wasn’t intentional. Arizona workers’ compensation pays medical expenses, wage loss benefits, and death benefits for certain dependents. Enjuris tip: An Arizona attorney with experience in truck accidents can help you calculate how much you could receive in your case. But, if you want to get a rough idea, take a look at our article on calculating damages in a personal injury case. When it comes to truck accidents, both federal and state laws play a role. Federal laws govern the trucking industry and establish certain standards that trucking companies and drivers must meet. These regulations can be found in Title 49 of the Code of Federal Regulations. In addition to the federal laws that must be followed, Arizona has its own laws governing trucks that are intended to keep truck drivers and other motorists on the road safe. These laws can be found in Title 28 of the Arizona Revised Statutes. A.R.S. 28-709 prohibits trucks from driving more than 65 miles per hour. A.R.S. 28-1095 sets the maximum length for various types of trucks. For example, the length of a semitrailer operating in a truck tractor-semitrailer combination must not exceed 57 feet and 6 inches. A.R.S. 28-958.01 requires trucks to be equipped with rear splash guards that help minimize the amount of debris that could be thrown at the vehicles following behind the truck. After an accident, the insurance companies and personal injury lawyers will attempt to determine who’s at fault for the accident. The trucking company. The trucking company may be found at fault (or partially at fault) if they violated one of the federal or state laws (such as requiring the truck driver to drive a load larger or for a longer period than permitted). The cargo company. One common cause of truck accidents is overloaded or improperly loaded cargo. In these situations, the cargo company may be at fault. The manufacturer. Truck accidents may be caused by a defective vehicle (such as an improperly designed trailer hitch that causes the trailer to come loose). In these situations, the manufacturer of the defective product might be at fault. Sometimes, both the truck driver (or other party associated with the truck) and the motorist involved in the collision are at fault. So what happens then? For example, let’s say Bill is driving an 18-wheeler on the highway. He’s following the station wagon in front of him too closely. The station wagon is driven by Diane. Diane drops her phone and when she reaches to pick it up she accidently slams on her brakes. Bill rear-ends Diane’s station wagon. Diane decides to sue Bill and the court determines that Bill was 70% at fault for the accident, while Diane was 30% at fault. In this scenario, Diane would only be able to recover 70% of her damages due to Arizona’s pure comparative fault laws. The statute of limitations in Arizona for most personal injury claims is 2 years. This means that you have to file your lawsuit within 2 years or the defendant can have the lawsuit dismissed. However, if you’re suing a public entity or employee, you must file your lawsuit within 1 year and you must also file a notice of claim within 180 days. When is the company liable for the driver’s conduct? Committed within the scope of the employee’s employment and in furtherance of the employer’s business. 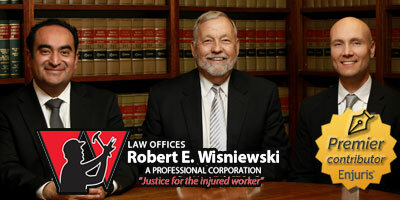 A truck accident attorney can help you determine whether the company should be sued in addition to the employee. In general, including the employer in your lawsuit increases your chances of recovery, as the employer generally has deeper pockets. Assess the health and safety of yourself and others, and seek medical treatment right away. Call the police and be sure they draft an accident report (and be sure that your version of the events is included in the report). Obtain contact information from the truck driver, including their name, address, telephone number, driver’s license number, and insurance information. Talk to and obtain the contact information for any witnesses at the scene. Enjuris tip: Download our free post-accident report and put it in your glove box so you’ll know what to do if you’re involved in an accident. Dealing with the aftermath of a truck accident can be more complicated and traumatic than dealing with the aftermath of a simple car accident. Consider contacting an experienced Arizona personal injury attorney to help you through the process.